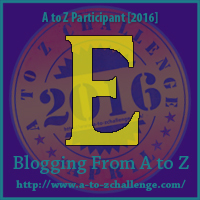 E is for Ezekiel Murray, Jr. But What About Carroll? Genealogy and family history is all about evaluating evidence. In this instance, I think Ezekiel Murray, Jr. and Carroll Murray are one in the same. What do you think? On Sunday morning, Sept. 29, the death angel visited the home of Mr. and Mrs. Ezekiel Murray and took from them their little son, Carroll. He was three months old, was sick only a few days with pneumonia when God saw fit to relieve him of his suffering. We shall miss him, but may we all live so as we can see him again. All that is mysterious now, the Prince of life will then explain and to the Will Divine we bow. His remains were laid to rest in the family burial ground at Mt. Olive. He has gone and left us, we feel our loss deeply. Yet we are only waiting, hoping, and trusting that we will again meet him in that world where pain and parting comes no more. Written by his aunt, Willa Carroll. Photo taken 2011 at Mt. Olive Cemetery in Dooly County, Georgia. According to the "Georgia County Marriages" database with images at FamilySearch.org, Mrs. Ezekiel Murray's maiden name was Anna Kate Carroll. She and the mister were married 10 April 1901. What beautiful words. Thank you for sharing this. I wonder if many people can write like that any more. I wonder that, too, Darla. I feel that your hunch may be correct.